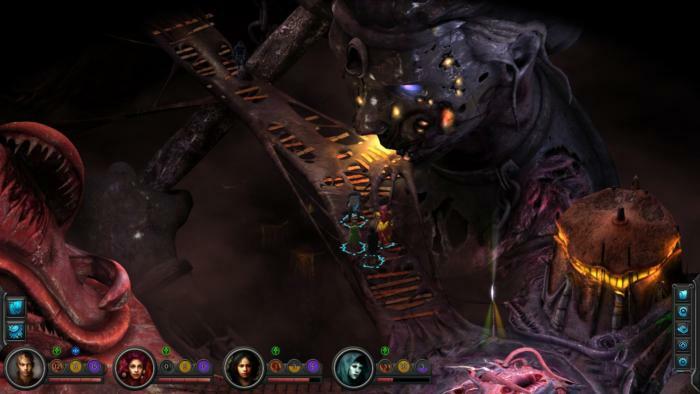 Despite some failings, Torment: Tides of Numenera is one of the most consistently surprising and delightful RPGs of the last decade. 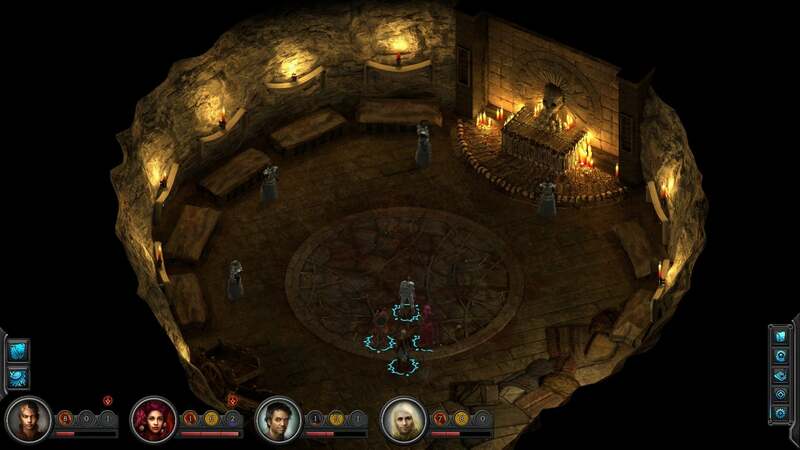 If only Torment: Tides of Numenera were twice as long. I don’t say that about many games—particularly RPGs. Even some of the genre’s best could afford to lose 10 to 15 hours of filler quests, cinch up the story’s sagging middle, and get on with it. Not so, here. What’s frustrating and yet also tantalizing about Tides of Numenera is that it gives us a glimpse of infinite potential, then cuts it short. Despite being billed as a “spiritual successor” to Infinity Engine cult classic Planescape: Torment, it’s important to mention the two are officially unrelated. This is not a sequel. Unofficially, though? 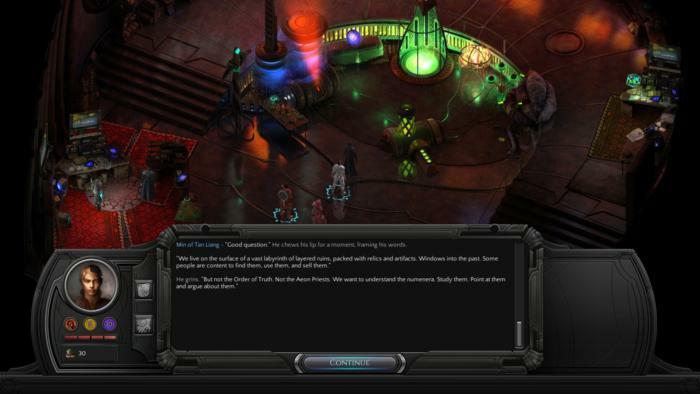 Well, in Tides of Numenera you play as “The Last Castoff,” a person with no name and no memory. Your first moments involve falling—plummeting towards the ground, having been “born” a hundred miles up in the air. See, you were created by the Changing God, a man who learned to move his mind from body to body and escape death. An important side effect: When the Changing God abandons a body, a new mind arises in his place, taking over the body and living out life as a Castoff, an immortal being with skills second only to the Changing God himself. You’re the latest Castoff. The Changing God abandoned your body as it crashed towards the ground, leaving you to die—except you didn’t. Thanks to your prodigious talent for regeneration, you managed to live and now have to find a place in the world. So yeah, it’s not Planescape. If you played Planescape though, some aspects should sound familiar. 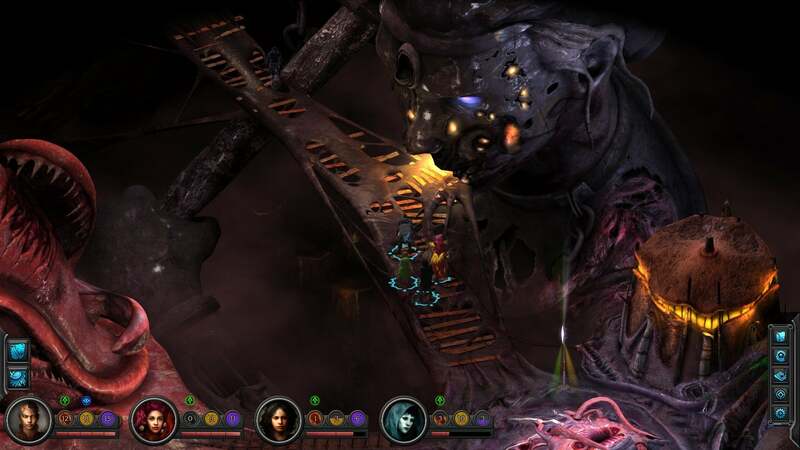 “A person with no name and no memory.” “Escape death.” “Immortal being.” “Prodigious talent for regeneration.” Like Planescape, Tides of Numenera is a fiercely personal story less about saving the world and more about saving one person: yourself. 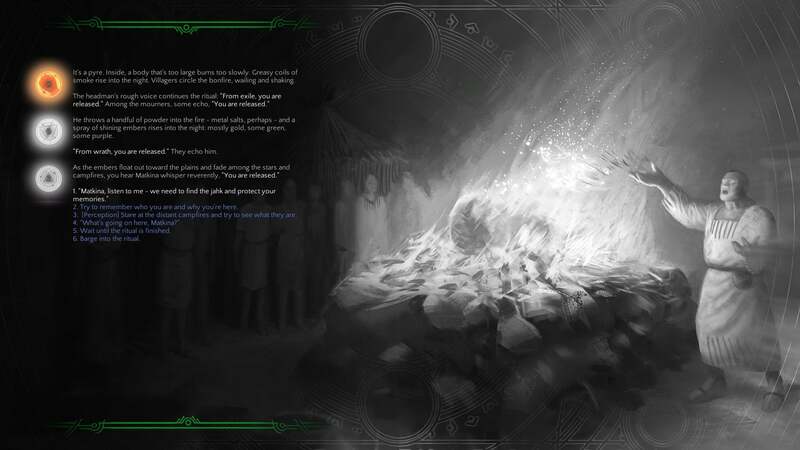 It’s perhaps the only kind of story you could tell in a world like Planescape or Numenera. Planescape, a series of “planes of existence,” each one corresponding to one of the traditional Dungeons & Dragons alignments (Chaotic Good, etc.) is larger than life. There, you were but a man, surrounded by angels and demons and everything in between, a cog in a machine so large you could only comprehend a fraction of a fraction of its full expanse. There were rules to it all, but rules so broad it felt like anything could happen, to anyone, at any time. The same goes with Numenera. It’s a very different setting—less religious, less overtly philosophical. But it’s similarly grand and unknowable, or even immovable. Set a billion years in the future, Numenera and its Ninth World embody the Arthur C. Clarke quote, “Any sufficiently advanced technology is indistinguishable from magic.” Numenera is more than sufficiently advanced. Anything is possible, be it a 1,000-year-old robot set on having kids, a young man who fell through a time-loop and ended up apprentice to an older version of himself, a person being strangled and devoured by the crimes he confesses, or an entire civilization contained within the belly of a transdimensional slug. In a nod to Planescape, there’s even an endless war where objectives are captured and lost and captured again not because of grand battles but because time is reversed, fragmented, and curled back in on itself. It’s a world of the weird, a world of the unpredictable and improbable and downright fantastical—even to the people living there. One of Numenera’s most interesting aspects is that it’s a world in decline. Advanced technology is everywhere—embedded in the ground, hidden in ruins, being sold by merchants. Nobody knows what any of it does, though. The strange glowing portal? Could go anywhere. The clock in the center of town? Could contain anything, or nothing. So much knowledge has been lost, or passed into myth. And in that respect, Tides of Numenera is perhaps the best Planescape successor we could expect. It’s a shame then that our time in Numenera is so brief. I don’t just mean in terms of some raw “Hours Played” metric. 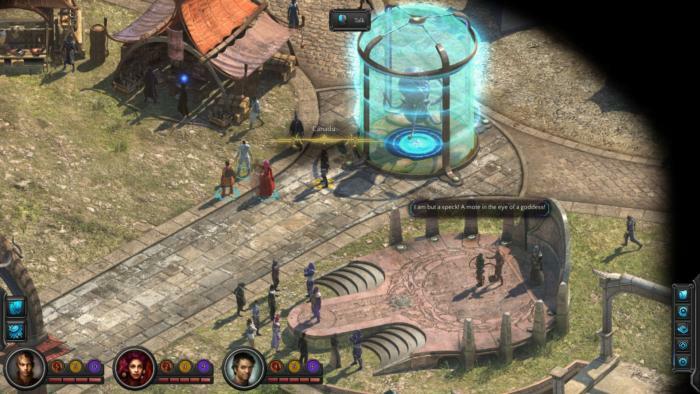 At 30-odd hours long, Tides of Numenera is briefer than most isometric CRPGs, but that’s not the issue. No, the real problem is that Tides of Numenera has so many great ideas and so many are squandered, or used once and then thrown away. Companions, for instance. All of them seem interesting, at least to start. Your first interaction with each is overwhelming, flush with history and trivia and character quirks. But then they sort of...disappear. Oh, they’ll chime in occasionally, tossing out some fact or other about your surroundings or a certain character. Rarely will you need to talk to them again though, and aside from a single, fairly simple quest for each there’s not much in the way of character development. It’s a shame because on the surface many are just as interesting as Planescape’s cast. Rhin, for instance, is an 11-year-old girl with a stone in her pocket that she claims is a god. She has no useful skills, serves no real practical purpose, but that sliver of story is interesting enough I kept her around. And of the cast, she has probably the most satisfying narrative arc—but still, it’s a fraction of the depth and long-term development you got from companions in Planescape or Baldur’s Gate II. There are also plot lines that seem unfinished or prematurely truncated—hints (or even overt nods) towards a forthcoming resolution that never actually comes. This is particularly noticeable if, like me, you play the game in a mostly pacifist role. (Side note: I only got in three or four fights in the entire game. You can talk your way out of or around almost anything with patience and the right stats.) You’ll often let foes escape instead of killing them, and then those characters just...disappear forever. There’s no resolution to their journey, and few quests have any noticeable effect on the world outside of the “Where are they now?” end credits scrawl. This impression isn’t helped by the game’s breakneck pacing. A helpful load-screen tip says something along the lines of, “Pay attention when someone says to finish up any business in the area before leaving. You may not return.” They’re not lying. 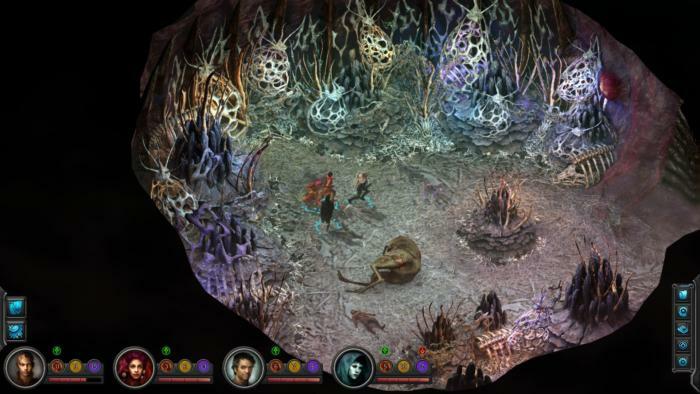 Tides of Numenera has three distinct Acts, each taking place in its own hub area. Once you’ve left there’s no returning, and any unfinished quests are unceremoniously removed from your journal en masse. That’s not too dissimilar from Planescape which, especially in its latter hours, turns into a very linear game. But it does somewhat blunt the impact of your actions when characters and settings are introduced with a fire hose and then yanked away again later. You’ll form some serious connections with tertiary characters in the first hub of Sagus Cliffs, and then they’re just gone. Forever. Like so many other crowd-funded games, Tides of Numenera feels like ambition outstripped real-world constraints. I would give more examples but I’m trying to avoid concrete spoilers. Point is, outside of the main story—which mercifully wraps up rather neatly by game’s end—Tides of Numenera has a lot of moments that hint at vast depths. Depths that, in a larger and longer game, might merit entire quest lines of their own. Here? They’re just teases, flavor text for the curious explorer. And yet I’m awarding Tides of Numenera top marks. Why? Because for all its failings, I can’t think of a single RPG in the last decade that so consistently surprised and delighted me. Even the non-quests, the smallest characters and the briefest interactions, possess a creative spark that is all too rare in this industry and genre. 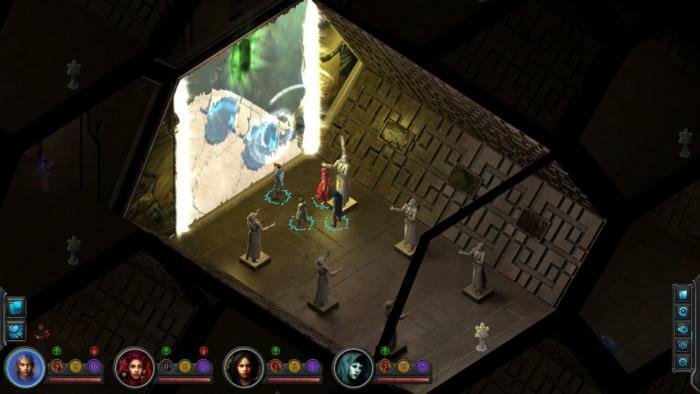 There’s an incredible life to Numenera and its occupants, even if on a strict mechanical level the world is less reactive than Divinity: Original Sin or Pillars of Eternity. 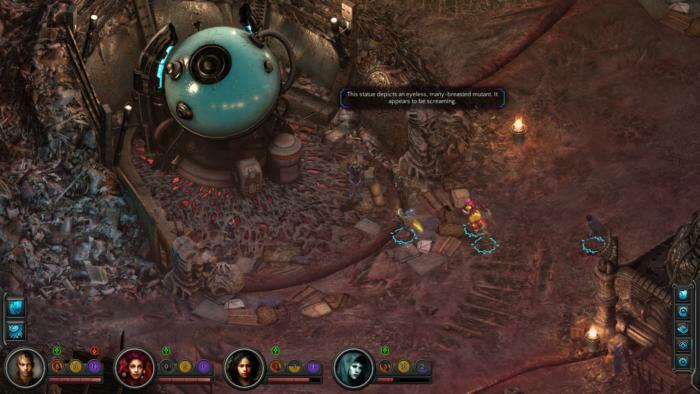 Like Planescape before it, Tides of Numenera is less a “game” at times and more an exploration of a world, its culture and niche subcultures, its people and their myriad viewpoints. The industry needs more of this. Video games can be anything. They can do anything. It’s a shame that so often we find ourselves retreading the same narrow band—and worth celebrating when a game like Torment: Tides of Numenera undercuts all those expectations. For all its failings, there is perhaps no single RPG in the last decade more consistently surprising and delightful than Torment: Tides of Numenera.